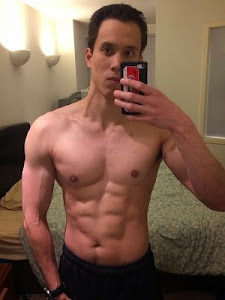 JimTraining: Is body recomposition possible?
. There were two groups undergoing weight loss: a slow reduction (SR) weight loss of 0.7% bodyweight loss/week and a fast reduction (FR) weight loss of 1.4% bodyweight lost/week. The SR group was able to reduce their bodyweight, reduce their fat mass, and increase their lean body mass (Lean body mass= total bodyweight-body fat weight). 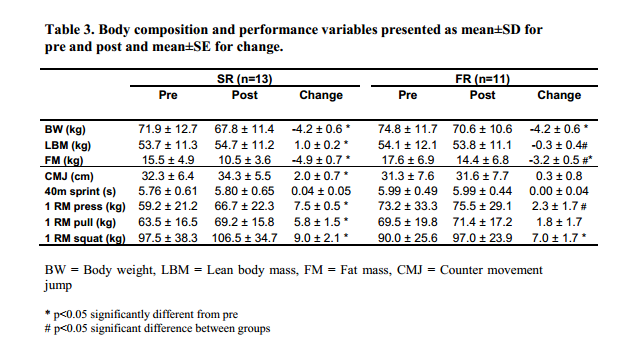 The SR group also increased their strength and jump performance more than the FR group. This suggests that as long as the weight loss is slow and steady you can reduce your body fat and increase your muscle mass at the same time! The key here is that the weight loss has to be slow and steady. In the study the body recomposition was achieved by a weekly body weight loss of 0.7% which for an average 75kg male would be a weight loss of about 0.5kg/week or about 1lb/week. And the body recomposition was achieved in relatively lean athletes, not beginners, suggesting even advanced trainees can recomposition their bodies. 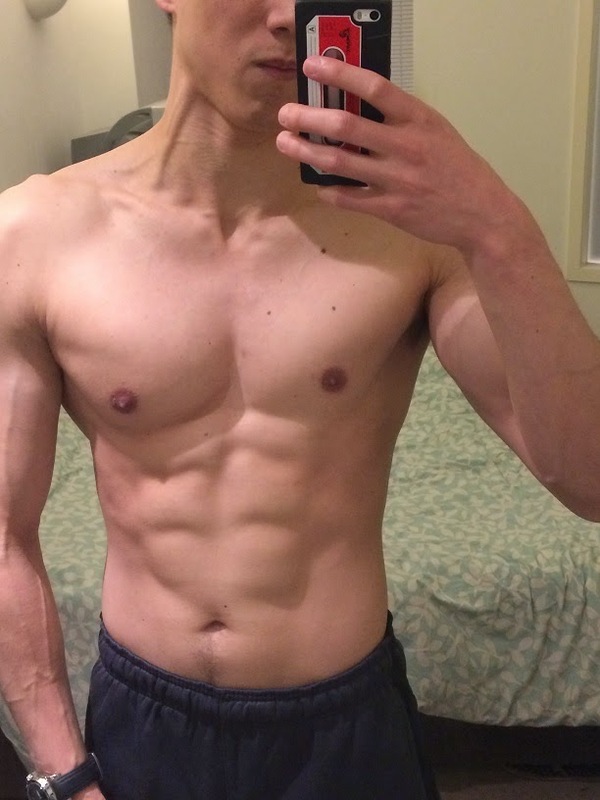 Also from personal experience I have repeatedly gone through cycles of body recompositions myself by keep a close eye on my bodyweight, body fat levels and body measurements. It requires having your diet dialed in, having progressive strength training in place and tracking your progress. Basically, once you cracked the code, it’s simple... although not necessarily easy. Lesson learned: Slow and Steady wins the game. 1. Garthe et al. 2011. Effect of two different weight-loss rates on body composition and strength and power-related performance in elite athletes. Int J Sport Nutr Exerc Metab Apr;21(2):97-104.